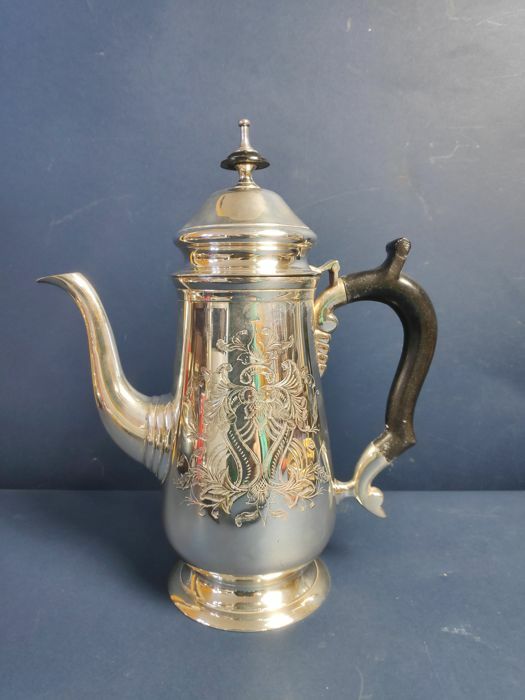 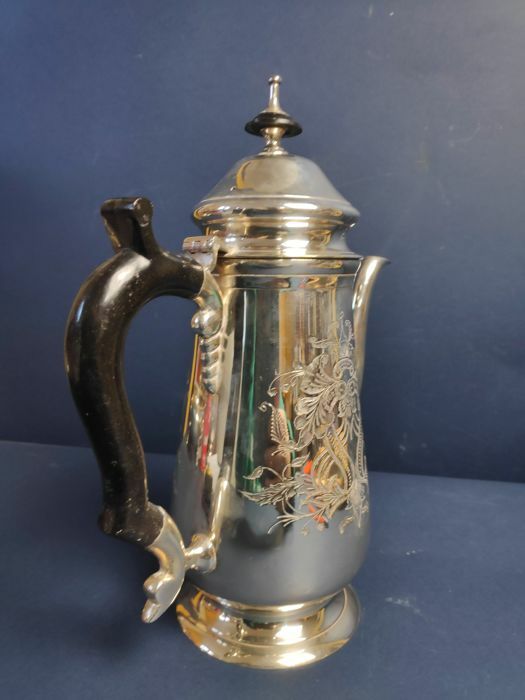 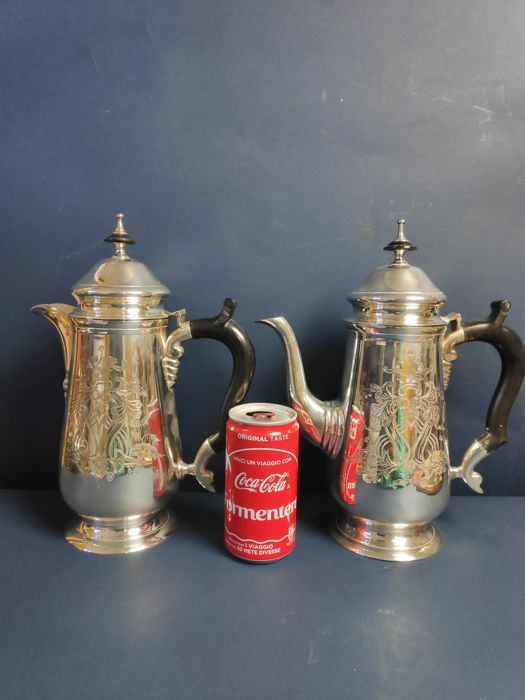 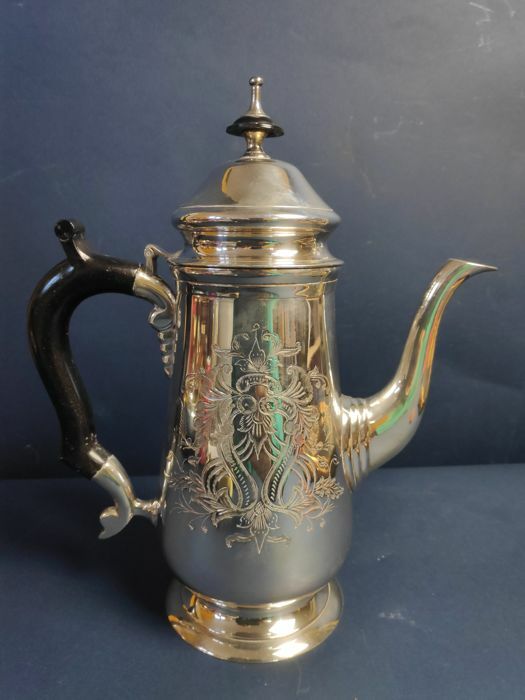 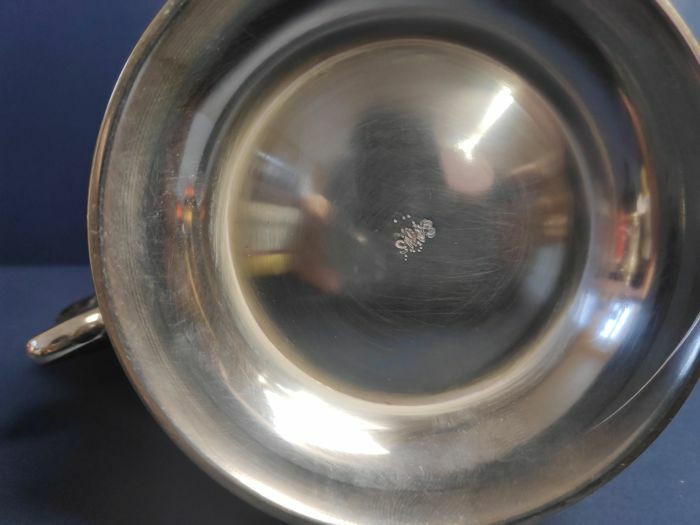 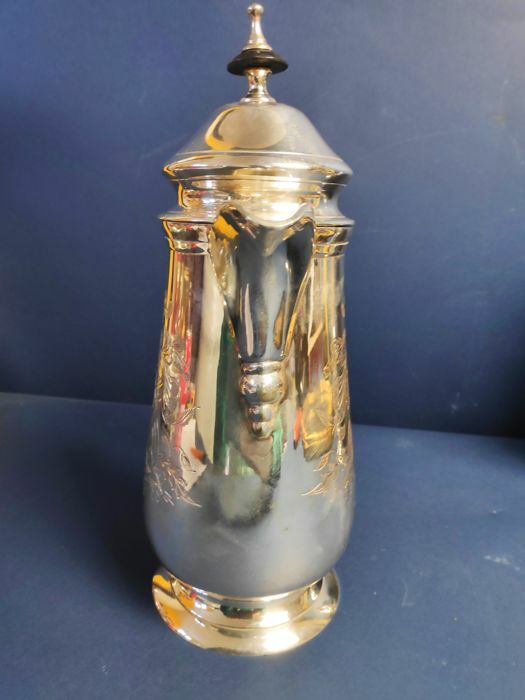 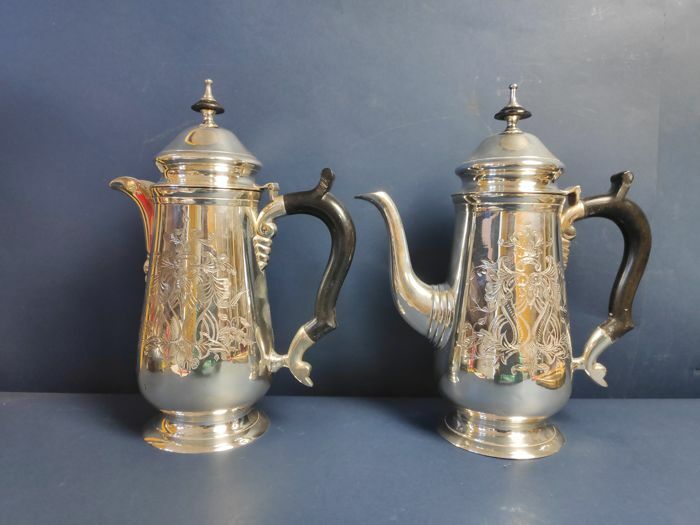 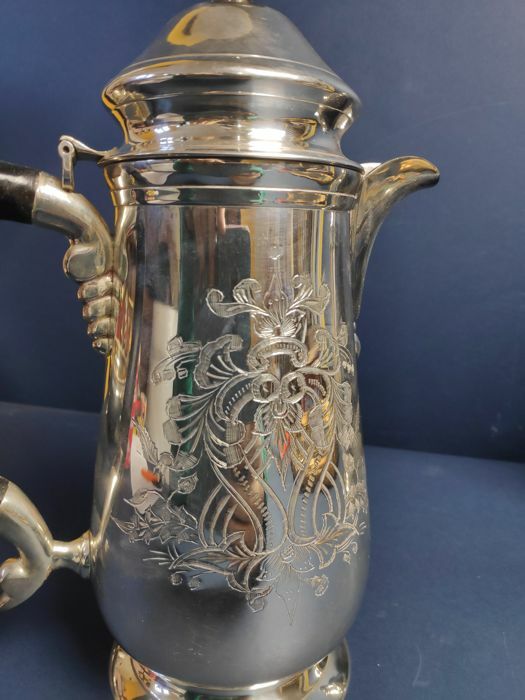 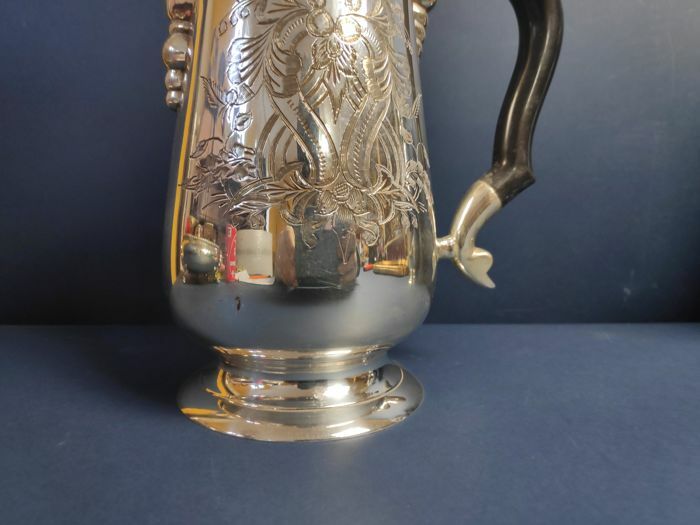 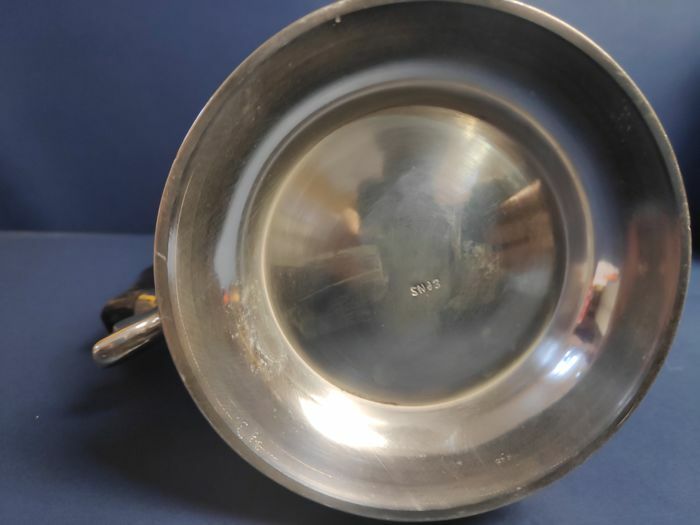 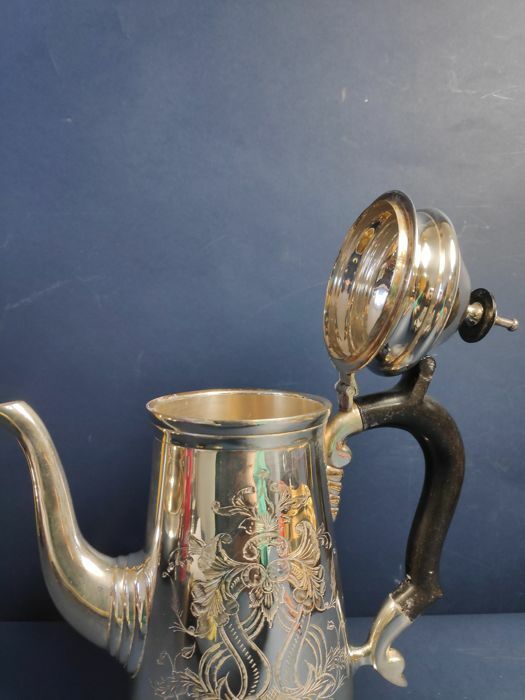 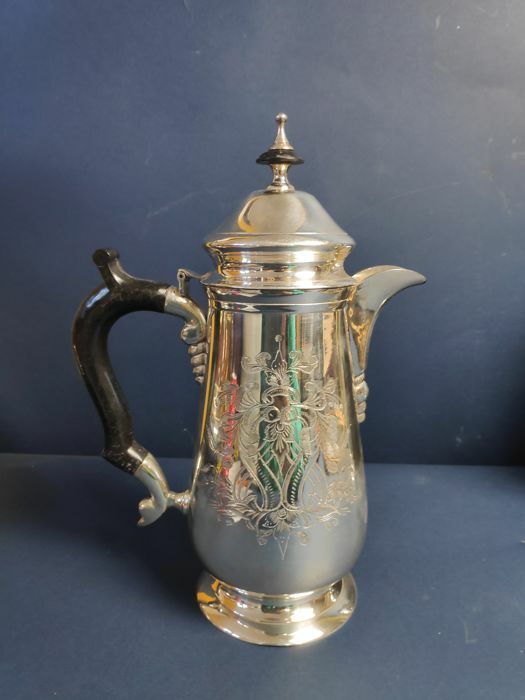 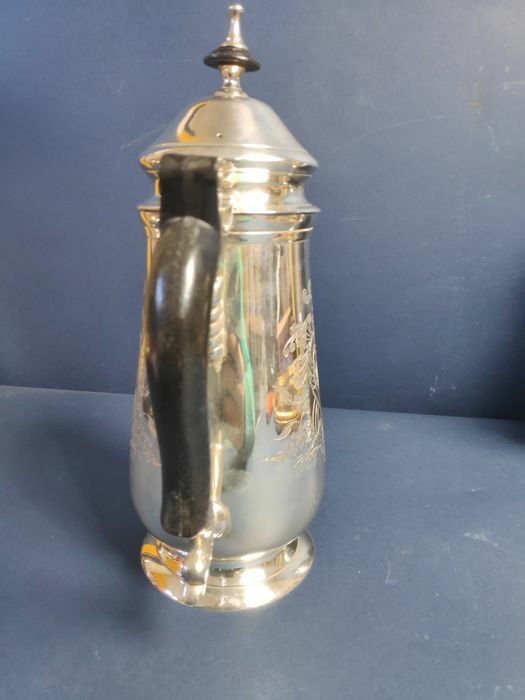 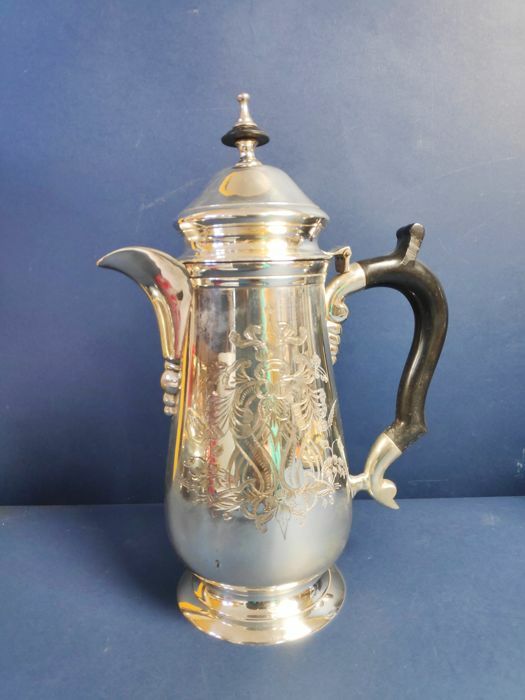 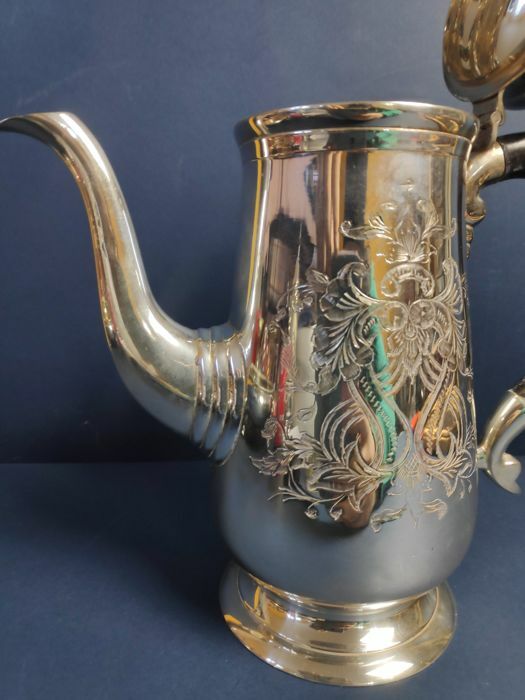 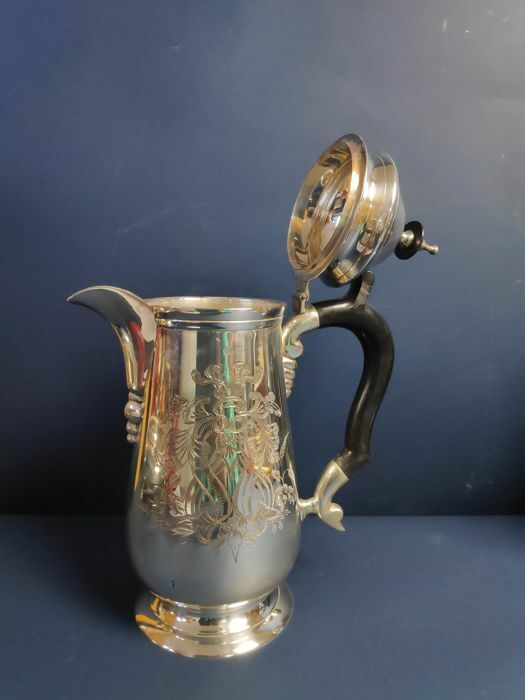 Lot 880 - A pair of silver plated Coffee Pots, entirely engraved, and marked Epns. 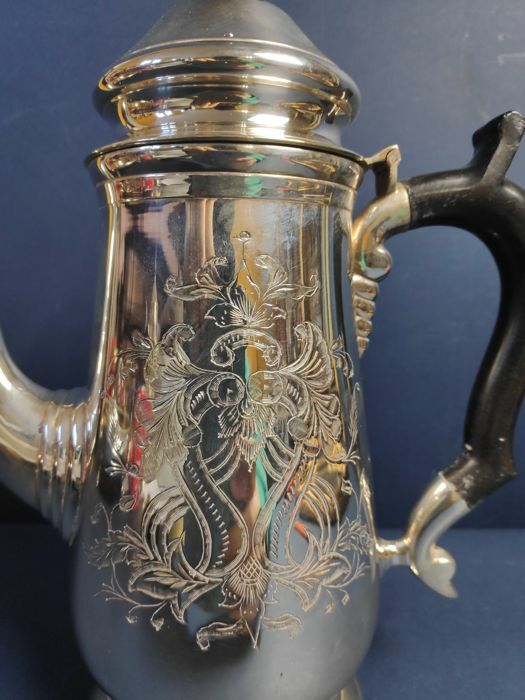 Beautifully decorated on each side. 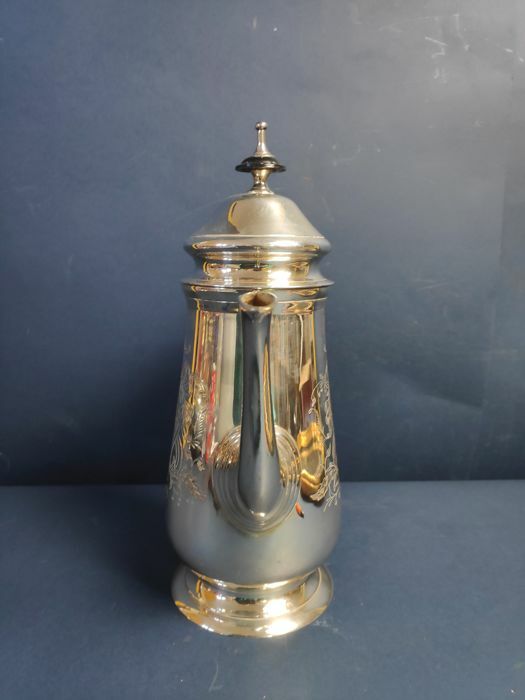 With handle and knob in Bakelite Hinged lids in perfect condition.